Recent dog bite-related incident data confirms that dog bite-related fatalities (DBRFs) and serious dog bite-related incidents are not a breed-specific issue; furthermore, the data confirms that breed specific legislation (BSL) is not only ineffective, but also entirely obsolete given the number of breeds involved in fatal attacks. In fact, since only 2016, at least 29 different breeds and mixed breeds have been involved in fatal dog attacks (listed in Table 1 below) including: Akita, Boxer, Chow Chow, Doberman Pinscher, German Shepherd, Giant Schnauzer, Husky, Labrador Retriever, Mastiff, Rottweiler, and many others. While every serious dog bite-related incident is tragic, the number and variety of breeds implicated in fatal dog attacks is clear evidence that these incidents are not a breed-specific issue while also validating the importance of comprehensive breed-neutral regulations for public safety. Additionally, the data validates what multiple peer-reviewed studies have concluded such as breed does not determine risk and that BSL is ineffective because fatal dog attacks involve many different breeds and dog types. Serious dog bite-related incidents are not a breed-specific issue, many different breeds can cause serious injuries or fatalities. Breed-specific legislation (BSL) is not only ineffective, but also entirely obsolete because over the years serious dog bite-related incidents have been associated with many different breeds. Breed-neutral regulations are more effective and more equitable because they address all potentially dangerous dogs, all irresponsible dog owners, and all unsafe dog-related situations - regardless of a dog's appearance or breed. The data, scientific studies, and risk rates all confirm that serious dog bite-related incidents are not a breed-specific issue. For canine regulation, it is important to understand the differences between the two major forms of regulation - Breed Specific Legislation (BSL) and Breed Neutral Legislation (BNL). BSL is a limited, single-factor, appearance-based approach while BNL is a comprehensive, multifactorial, behavior-based approach. For public safety, BSL imposes regulations on a minority of dogs based only on their appearance or breed (regardless of a dog's behavior or responsible ownership) while breed-neutral regulations address all potentially dangerous dogs, all irresponsible owners, and all unsafe dog-related situations - regardless of a dog's appearance or breed. Consequently, multiple peer-reviewed studies have concluded that BSL is ineffective; furthermore, it is a discriminatory trend in decline evidenced by the vast majority (98%) of cities and towns that use breed-neutral regulations as their primary and only form of regulation because of the many advantages of breed-neutral regulations summarized on our Breed Legislation page. The DBRF list above may not be complete, there may be additional incidents involving other breeds that we have not yet identified through our research. Incidents involving pitbull-type dogs are not included as these have already been widely covered by the media and by other special-interest organizations. Furthermore, a recent comprehensive peer-reviewed canine DNA study concluded that the majority of "pitbull-type" dogs are in fact mixed breed dogs (with less than 50% DNA from any "pitbull-type" ancestry); therefore, the breed data (in media reports and elsewhere) attributed to the majority of incidents describing "pitbull-type" dogs is very likely unreliable and inaccurate. 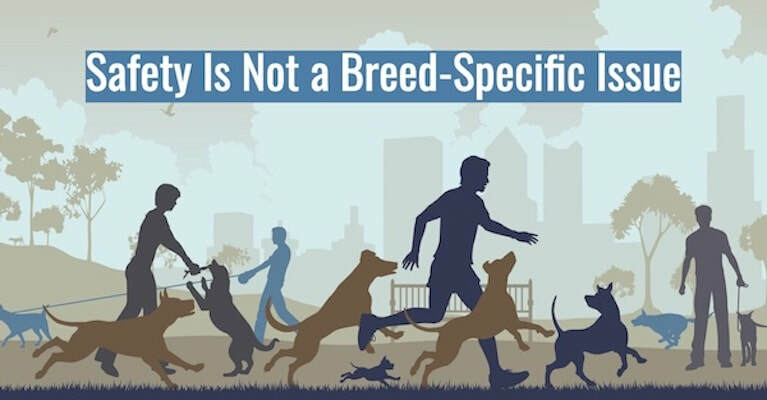 ​The number of incidents associated with each breed is more closely related to each breed's population and its risk rate than to any "inherent risk" in a specific breed or dog type.